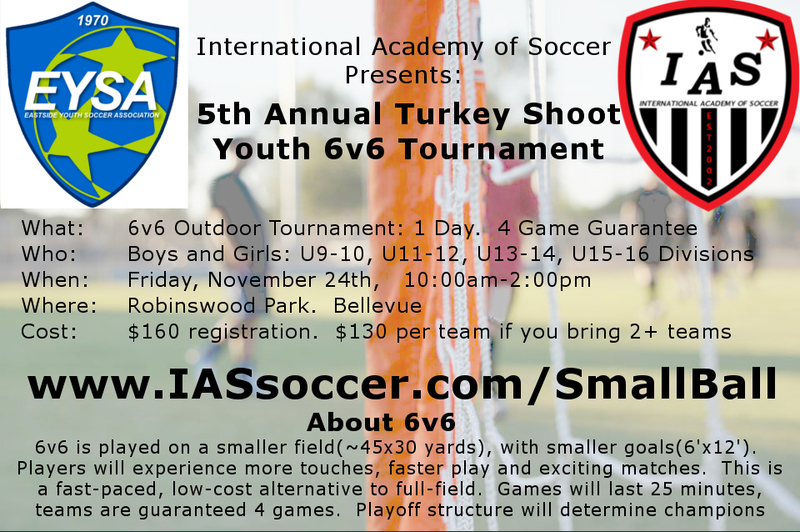 Register for SmallBall 6v6 Turkey Shoot! ©2019 International Academy of Soccer / SportsEngine. All Rights Reserved.